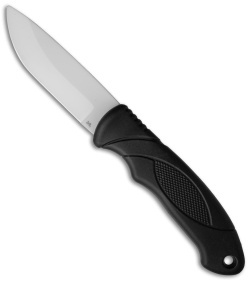 This hunting knife from Stone River Gear offers a compact design with a white ceramic blade. 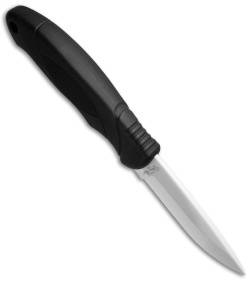 The wide, rubberized handle provides a substantial grip in all-weather conditions. Stone River specializes in designing high quality ceramic knives for the kitchen, outdoors, and general everyday carry. They use Zirconium Oxide ceramic which resists cracks and wear far better than other materials. Experience the cutting power of a ceramic blade with the knives and tools from Stone River Gear. Wide rubberized handle for a reliable grip in all environmental conditions. Ceramic blade offers a razor sharp edge that lasts 10 times longer than conventional steel blades. Item includes a rugged nylon belt sheath for convenient everyday carry.